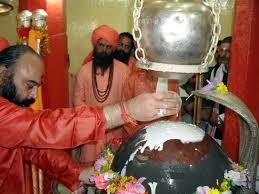 Here is Some Information about Shankaracharya Temple in Srinagar Jammu Kashmir India. 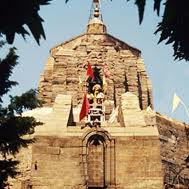 The temple was built by Jalauka, the son of the great Emperor Ashoka, about 200 B.C. King Gopadatta of Kashmir who ruled from 79 to 109AD, rebuilt it and dedicated the temple to Jyesteswara. 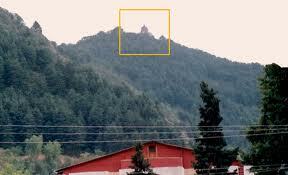 The hill was called Gopadri and the village at its foot on the south is still called Gopkar. "Raja Ach ascended the throne and ruled for 60 years. He founded the town of Achabal in Kotiar, Kashmir. After his death, his son Gopananda ruled the country, under the name of Gopadatta. During his reign many temples were built and repaired. At that time the dome of the temple on the top of Solomon hill had cracked. He asked one of his ministers, named Sulaiman, who had come from Persia, to repair the cracked dome of the temple. 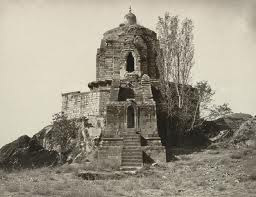 On this, the local Hindus raised objections saying that as Sulaiman was an infidel and followed another religion, he had no right to repair the sacred temple of the Hindus. During this very period, Hazrat Yuzu Asaph arrived from the Holy Land, Bait ul Maquaddas, to the Holy Valley, Wadi a Aqddas, and proclaimed his ministry. 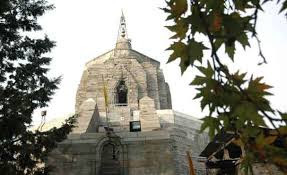 He absorbed himself in prayers day and night, and having attained an elevated position in virtue and piety, he declared to the people of Kashmir that he was the messenger of God. He called upon the people to follow the words of God, and many believed in him. Thereupon, Raja Gopadatta referred the objections of Hindus to him for his decision. 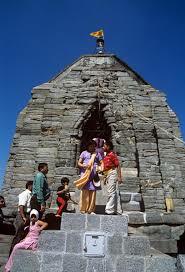 It was under his orders that Sulaiman, whom the local Hindus named Sandiman, completed the repairs of the cracked dome of the temple, in the year 54. Sulaiman also had engraved the following inscriptions on the stones leading to the stairs of the temple: "During this period Yuzu Asaph declared his Ministry. He was Yusu, the Prophet of the Children of Israel". In a work by a Hindu it is said that this Prophet was in reality Hazrat Issa, the Soul of God - on whom be peace and salutations. He had assumed the name of Yuzu Asaph during his life in the valley. The real knowledge is with Allah. After his demise, Hazrat Issa, on whom be peace and salutations, was laid to rest in the tomb in the locality of Anzimar. It is also said that the rays of prophethood used to emanate from the tomb of this Prophet. Raja Gopadatta passed away after having ruled for 60 years and 2 months." 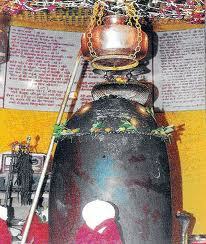 The present struture probably dates back to the 9th century AD and are dedicated to Lord Shiva. 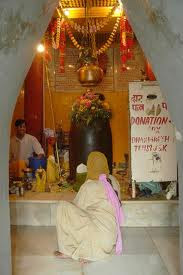 The temple was renamed Sankaracharya, under a Hindu Maharaja in 1848. By Air: The nearest Airport is approx. 25 Kms away in Badgam Dist, for the temple. This Airport is connected with major cities of India . By Rail: Jammu is the nearest railway station to Srinagar, which is at a distance of 290 km. Jammu railway station is well connected to all major cities in India by rail. Direct train services are available from Delhi, Chennai, Bangalore and Trivandrum. By Road:The Highway NH1A connects the Kashmir valley with India. Every sort of transport to suit every budget from Buses to Taxis ply on this Highway. It takes around 10 to 12 hours to cross this mountainous road which crosses some beautiful spots and the famous Jawaharlal Tunnel linking Kashmir Valley with India.